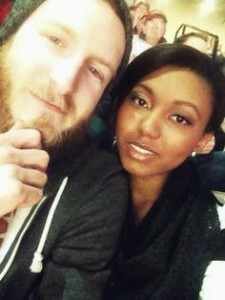 Interracial dating is fast catching the trend now. It is becoming popular day by day, as more and more people are getting into interracial relationships and exploring this dating scenario. In Australia too, interracial dating in Australia is widely being accepted, especially by the young generation. This can also be evidenced by the numerous interracial dating websites that have come up on the internet. With these sites, you can find your interracial partner pretty fast. Nonetheless among all the races, many Australian men want to date Black women. They are inclined to form a relationship with Black women. It can be due to their preferences, likings, or for any other reasons that simply attract them more towards Black women than ladies of their same race. Seeing this, we have come out with some tips that can help Australian men to date Black women. It will help them to make an impression on their first date with a Black woman. Know everything about the slavery facts and do not even mention the term ‘slavery’ in your conversations. You might not know everything about it, but certainly your lady would know about it. And, although slavery was formally abolished on June 19, 1865 and it may be a thing of the past or long time back for you, it certainly would not be so for her. Also, slavery is not something to be mocked at. You must make your partner comfortable, no matter wherever you go. It is particularly important when you go to a social gathering or a family get-together with your Black lady, as at such places she can feel like an outcast. If your parents or family do not approve of your relationship, then do not take her to meet them. Or else, tell your friends or family of how much she means to you and you cannot stand her disrespect from anyone. Do your research beforehand about the culture and race of your Black partner. This will help you to get more information about their background and thus will assist you in knowing their likes and dislikes. Also, you can get to know about her music preferences or food likings. This way you can download some music tracks for her or make some food for her and thus leave a striking impression on her. She will surely love your sweet gestures and initiatives. Just be yourself when you date a Black woman. Although it should be like this in every relationship, it is more important when you are dating a Black girl. Do not try to change yourself in any way or try to bring modifications in your mannerisms or culture in order to make yourself suitable to your Black lady. For instance, do not start wearing your cap backwards or try to talk like a rapper. Moreover, do not even downgrade or degrade White people just to appease your Black lover. Instead, you must make yourself comfortable and find a common ground. 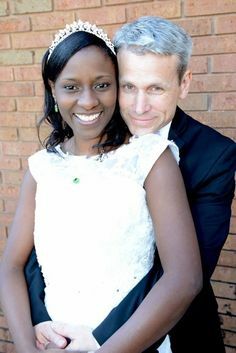 With these tips of interracial dating in Australia, you can surely date a Black woman in Australia with ease. You can impress your Black partner by keeping these tips in mind when you go on a date with her. This entry was posted in Dating Tips on April 11, 2016 by admin.